Drones are getting more popular each year, with drone hobbyists starting to use their favorite flying toys as tools for a lucrative business model. If you have a drone, consider yourself lucky to also have a potential money-making machine. Quadcopters are usually paired with a camera and some type of a remote controller, making it easy for an average consumer to produce truly stunning and unique footage using no more than their drone and a smartphone. 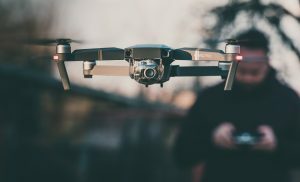 If you’re interested in how to start a drone business, in the following text we’ll introduce you to 5 best ways to start earning money with a drone in 2018. Of course, there’s more to being a drone entrepreneur than simply having a good idea. 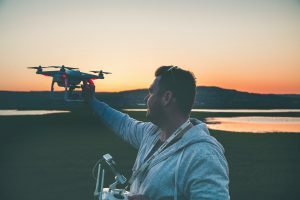 For one, you’ll have to get familiar with laws and regulations concerning drone piloting in your country, to ensure safety for yourself, your drone, as well as other people and property. If you’re a pilot in the US, you might have heard of Part 107. Released by the FAA in 2016, the Part 107 is a collection of regulations and restrictions regarding commercial drone flight. It’s very important that any pilot who wishes to use a drone to make a profit fully understands and complies with these regulations. To get the remote pilot certification in accordance to Part 107, you will have to pass the Part 107 test. To apply for the test, you’ll need to be at least 16 years old, have a government-issued ID card and be able to understand, speak and write English. Taking the Part 107 test will cost you $150 USD. Given that Part 107 itself contains up to 624 pages of regulations, passing the test is not exactly easy. Getting through all these pages, trying to figure out the most important parts, and memorizing a lot of information can be extremely time-consuming. 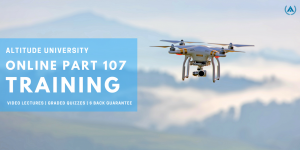 That’s why we’ve prepared for you an easy to understand Part 107 Training Course that will help you pass this knowledge test with flying colors, so you begin to earn money with your drone as soon as possible. Next, we’ll explore the five different avenues we recommend for launching your drone business. Now that we’ve taken care of all the boring, yet critical steps (i.e., regulation), let’s see what the basic requirements and various ways are of earning money with a drone are. 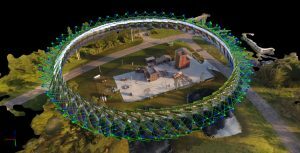 There are numerous ways you could get into the drone business and become a drone entrepreneur, ranging from simple drone photography jobs to using your drone for industrial inspection jobs. Choosing the best approach for yourself will depend on the type and capabilities of your drone, where you are located and the earning opportunities there, as well as how much time and commitment you’re willing to make to get the job done. Based on our research, we believe the five ways listed below are your best options to start a drone business and start earning money with a drone as soon as possible. This is perhaps the most obvious and easiest way to start a drone business. If your drone has a camera, you can approach local businesses (restaurants, resorts, real estate) and offer drone photography or drone video recording services. Alternatively, you can take photos and produce some videos beforehand, set up a meeting with the business manager and then present and offer them to buy your footage. Record in highest resolution your drone camera can handle and post-process the raw footage in a video editing application to deliver the best possible quality. The same goes for aerial photos. A study by SoldByAir found that 83% of home sellers prefer to work with agents that use drones. Aerial wedding videos have lately been a big hit with the soon-to-be newlyweds. 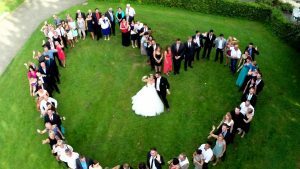 There’s nothing like a birds’ eye view of a wedding party to really impress friends and relatives, and the happy couple is usually more than happy to pay some serious buck for that. This is a great way to get into commercial drone photography and cinematography because it is easy to make contacts and get recommendations. People are usually willing to pay top dollar to capture their most memorable moments from the sky. From weddings to sporting events, drone operators have no shortage of opportunity when it comes to finding paying gigs. Start reaching out to the organizers of events in your area and pitch them your services. Don’t be surprised when you suddenly have a booked calendar full of paying gigs. According to BI Intelligence, with 42.9% share of the market, aerial photography is the largest industry using drones in the US. There are many places that hard to reach by foot and that’s where a remote controller drone comes in handy. But there’s more to it. Organizations and businesses that will gladly pay you to use your drone for land surveying and digital mapping. You’ll find these in various industries, including construction, urban infrastructure development, topography, mining, archeology, and oil & gas. Until now, researches have relied on airplanes and helicopters which are much more expensive and less maneuverable for the surveying jobs. PhillyBar reports a 98% reduction in surveying time when using drones compared to airplanes. 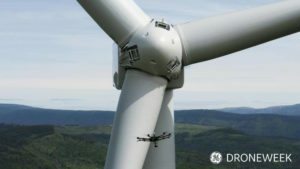 Utility, construction, and insurance companies can all benefit from an experienced drone pilot to perform remote inspection jobs. This is a great opportunity for you to make a fast and serious profit with a drone, though it will likely require a more expensive drone that will provide stability and high-resolution imaging (4K), as well as advanced drone piloting skills. You could use your drone to check to inspect power lines and cell phone towers, remote pumping stations, building rooftops or other areas that may be hazardous to humans. There are plenty of legitimate businesses that are renting their drone gear for a premium. Sure, this may be a capital-intensive business model; however, it may also be a good way to earn recurring revenue on your precious gear. Check out sites like Blues Skies and LensRentals.com for more examples! Ever thought of becoming a drone services broker? You can build a entire business model around generating leads for drone operators in your area. We hope we’ve helped you gain some insight into the potential of earning money with a drone and given you some useful ideas on how to start a drone business. Good luck!